Our soy wax candles are a labour of love. We have been making candles for many years now using different brands of soy wax and constantly testing wicks and scents so that we can produce the perfect balanced candle. Each candle is hand poured and each scent is balanced to the wick to produce the optimum burn. 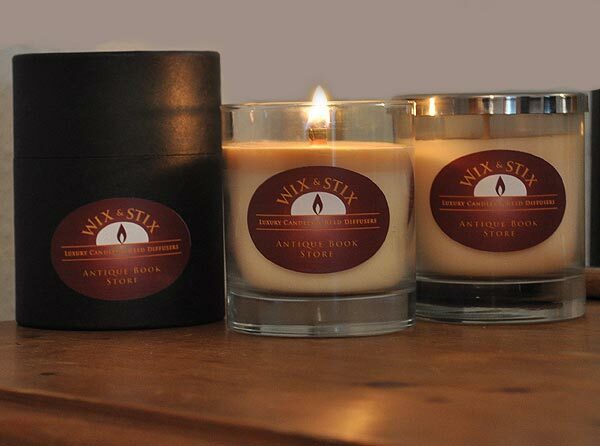 All our candles are now available as either Woodwix ( Wooden wicks) or Doublewix (Double wicks). The woodwix are made from sustainable sappy fruit tree wood and our Cotton wicks are pure with no additives. Our soy wax is 100% and is non-toxic, we do not use blended waxes. Our candles are scented evenly from top to bottom. Our fragrances are phthalate free and we also use Essential oils where appropriate to give the best fragrance experience possible. Our Luxury Reed Diffusers are created with plant based diffuser oil and phthalate free scents. As with the candles the diffusers are all developed and hand made by us in the UK. Presented in a black or clear glass jar and beautiful black or natural presentation tube. Our luxury reed diffusers make a wonderful gift . Fragrance your room with style. Our luxury reed diffusers contain 100ml of Eco Friendly scented oil. They last up to 9 months.